The Solar symbol of the dot within a circle is one of th3e most ancient symbols. The Sun is the primary source of life. The Chart for the Year is cast for 0° Aries, the Exaltation of the Sun. 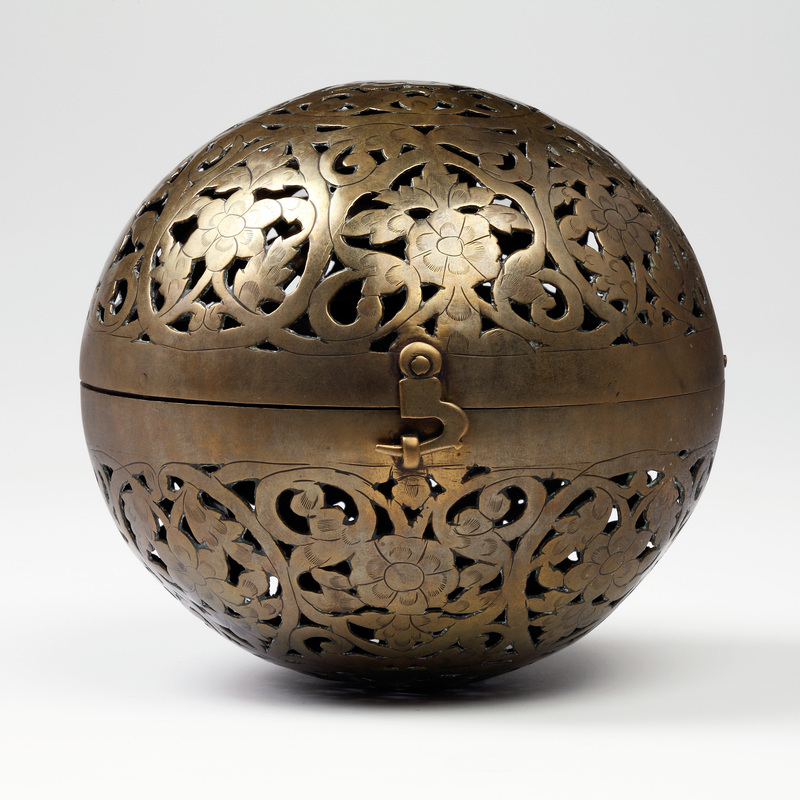 A very Solar Spherical hand warmer, brass middle east 18th – 19th C.
The Winter Solstice charts provides us with relatively short predictions which are concerned specifically with season on Winter. 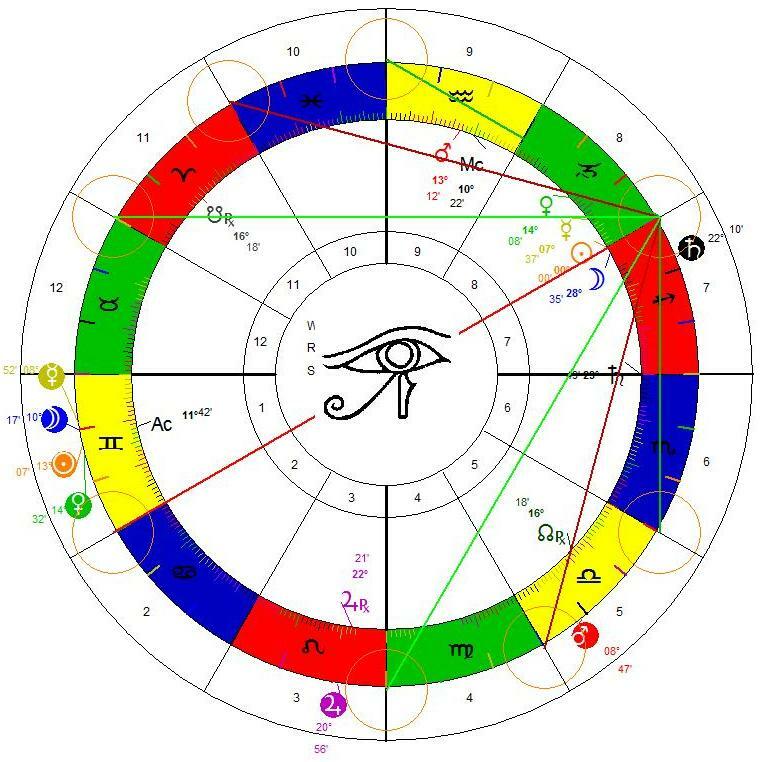 Solstice Charts are generally used to tell us of the current climate, both literally and figuratively and employed with a particular interest in the season itself. That is not to say they cannot provide us with more. For people living close to the Ring of Fire, earthquake and tsunami warnings are crucial. These predictions also include weather predictions of a general nature because we are talking about a three month period. Below is the chart for the Winter Solstice 2014, including the seven hermetic lots. It is drawn for the West Coast on 21 December 2014, 15.03 PST. Victoria, B.C. This gives us a chart for Day of the Sun and Hour of the Moon. The angles are in Mutable Signs and Mercury, the most Protean of all planets is in Capricorn and the Almuten Figuris. He is of course also Lord of the Ascendant Moreover, the Lady of the Geniture is Venus, also in Saturnine Capricorn. The essence of the chart is Cold and Dry, or Melancholy, by Humour. 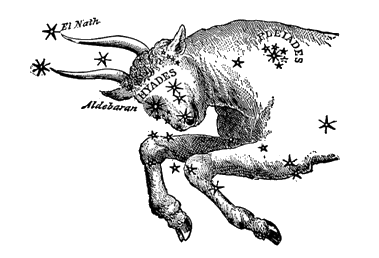 The Mercurial Hyleg is the Pars Fortuna in the First House, conjunct the Fixed Star Aldebaran, the Eye of God, in the fourth Lunar Mansion and often associated with blindness. The fact is the position of Al Debaran (the follower of the Pleiades) is crucial in interpretation. It is far better to have this star on the Ascendant, than in the Seventh for example. 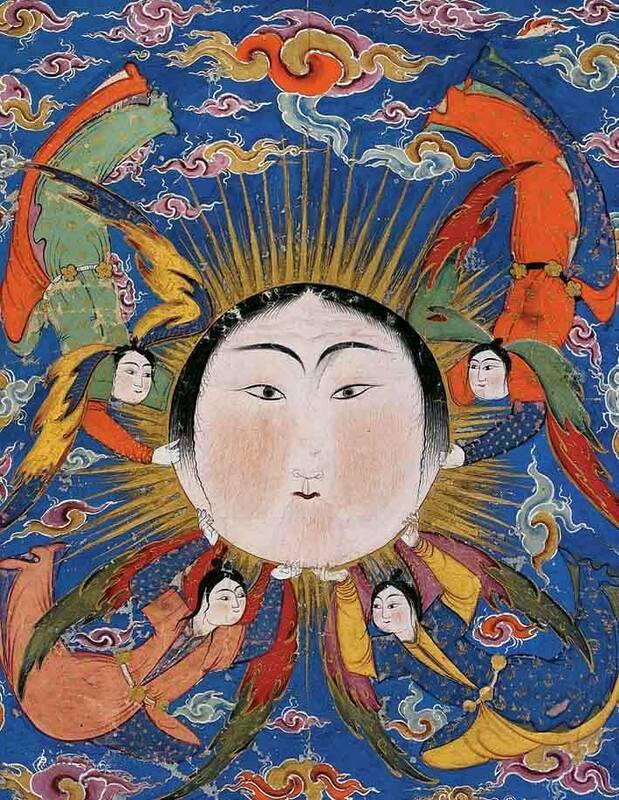 One of the Royal Stars on Persia, he is Watcher of the East. He can bring greatness if integrity and nobilit6y of character is preserved. Mercury is Combust. Venus is Under the Solar Beams. The glimmer of hope lies in the fact that both the Lot of the Sun, the Moon and Venus are found in the First House with the Day and Hour of the chart underscored. In the Seventh House of open enemies, we have the Moon at 28.35° conjunct Acumen. This is interpreted as enduring attacks that weaken. The position of the Lot of Saturn only emphasizes the difficulties. Jupiter is extremely weak because he is deposited by the Sun in the Eighth House, retrograde and Peregrine – like a stranger in a strange land. As Lord of the Seventh he isn’t in a position to ameliorate. We look then to Mars in the Ninth House and on the MC. in the 23rd Lunar Mansion known as the “fortunate aviator.” There is a suggestion here of attack from the air. Saturn is Lord of Mars, Sun, Venus and Mercury. Saturn is found in the Sixth House. and in Mutual Reception with Mars. The weather will be changeable, from dry and cold to high winds and heavy rainfall. There is no indication of a major seismic eruptions, always of concern for those of us living on the West Coast, over the next three months. There is no indication of a Tsunami on the West Coast either. The lot of the people collectively is somber and in need of leadership with vision and integrity. I would anticipate on-going protests to be particularly energized. This entry was posted in Greek Lots, Hermes, Lady of the Geniture, Lunar Mansions, Mercury, Planetary Parts, Traditional Astrology, Venus, Winter Solstice and tagged Sun, West Coast, Winter Solstice. 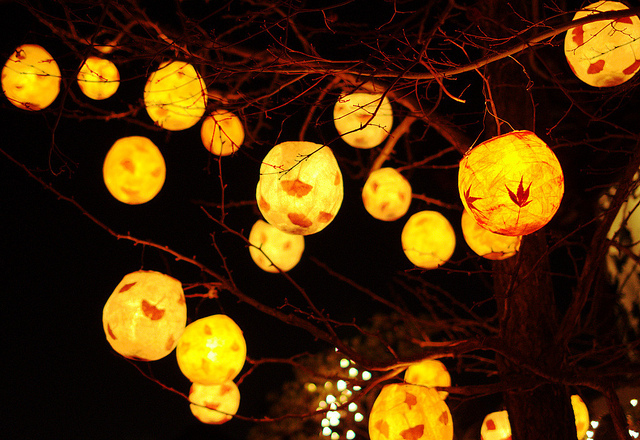 All the best for you!